Hearty Congratulations to Our SCAND TS Champions’2012! Yes, a HUGE, hearty congratulations to our winners: Artem Stefanenko and Andrew Barkovsky! Congratulations also to Nikolaj Shurkaev and Vasil Marachkouski, our finalists! Our second SC&TS Championship is over, and Scand is rewarding it’s finalists with special prizes. Congratulations to all teams that participated and thank you for another succesful Scand Table Soccer Tournament! 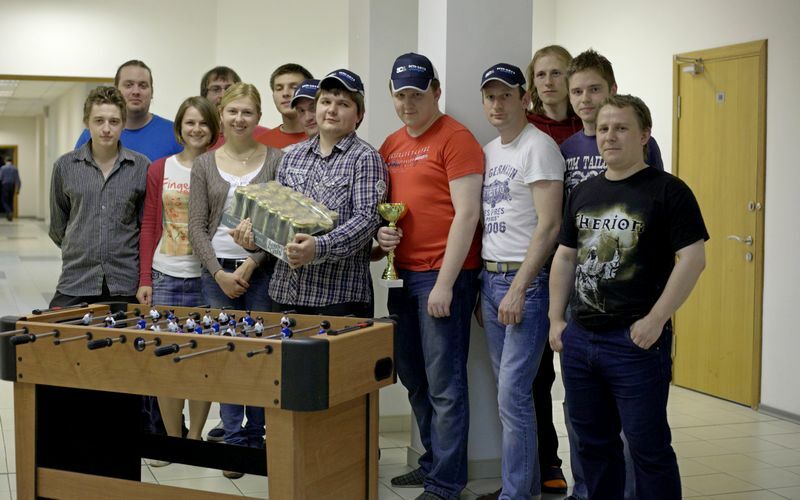 We are all looking forward to the next Scand SCTS Championship that will take place at Scand’s office next spring.